What better way to roll into the weekend than with some raucous laughter? Ok, maybe not raucous but this is definitely worthy of a hearty tee hee or two: During a recent appearance on Jimmy Kimmel Live!, Bryan Cranston impersonated Kevin Hart having a meltdown on the set of the stars’ upcoming comedy-drama “Untouchable,” and the former Breaking Bad actor completely nailed it. In the film, Cranston and Hart have a paragliding scene, but due to the magic of the almighty green screen, they don’t actually have to go flying through the sky. Unfortunately, the mere act of pretending to do so scared the crap out of his comedian co-star. Cranston described being on set and watching Hart completely freak out over being hoisted 15 feet in the air with a crane. 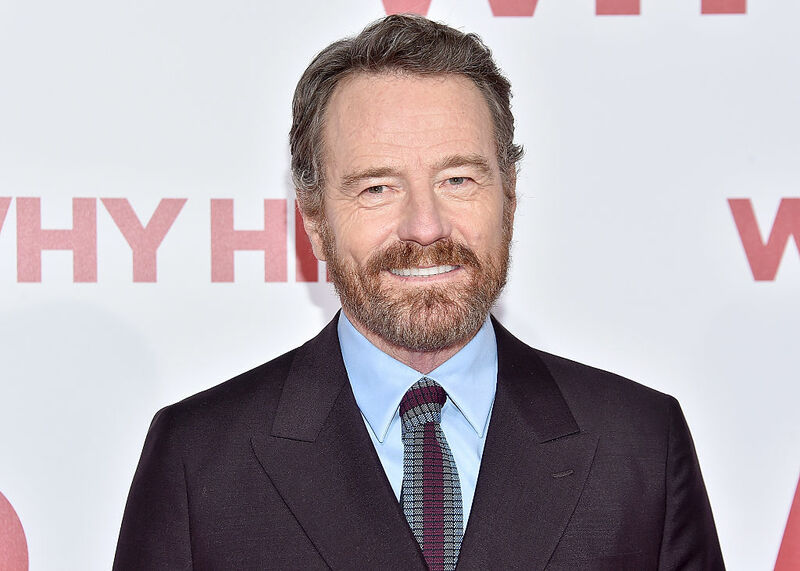 From the rapid speech to the high-pitched voice, we’d say Cranston’s hilarious impersonation of Hart sounds about right. "In this movie, that'll come out next year, we have to go paragliding in it," Cranston told Kimmel. "And I talked to him, I said, 'Are you gonna go paragliding?' He goes, 'No! No! No. No. Bryan, Bryan, let me tell you this: We're all gonna die. I'm just not gonna help.'" LOL! We don’t know Hart personally but this scenario sounds totally believable. Anyone else remember his roller coaster freakout with Jimmy Fallon? Clearly, heights aren’t his thing. Oof, that was a #burn! Kimmel should definitely expect a comeback from Hart for that wisecrack. Meanwhile, we expect to laugh our asses off at this hilarious paragliding scene when Untouchable hits theaters next year.